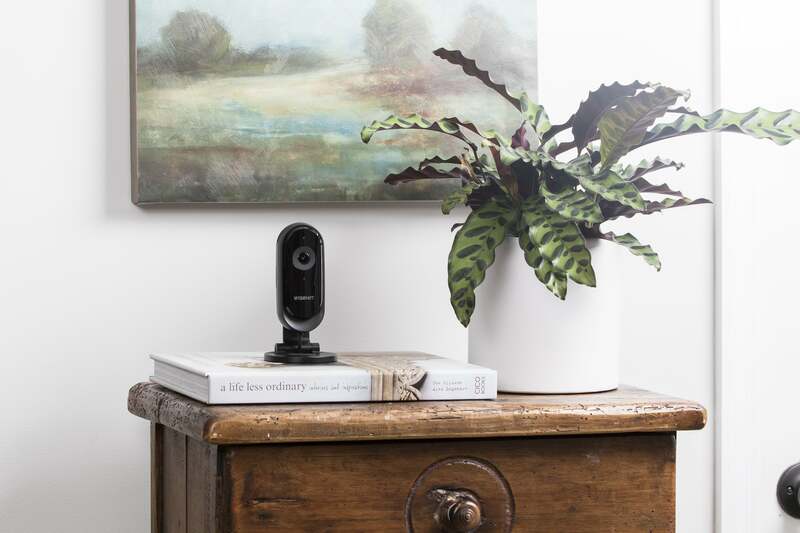 This home security camera makes it easy to monitor everything from kids to elderly parents. The N2's capsule-style body comes mounted to a metal base you can set on a table or shelf. The stand doubles as a mount, and hardware is provided to screw it to the wall. If you decide to go this second route, you’ll need to detach the camera from its stand, and then reattach it to its backside before you can complete the wall installation. Step-by-step mounting instructions are included in the user manual and can be completed in about 10 minutes. 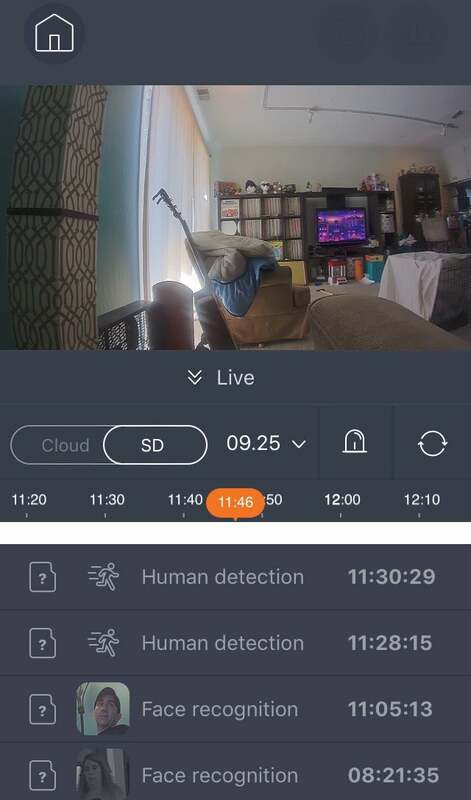 In my experience, when facial detection technology falls short, it usually does so by identifying something non-human, like a pet, as a face. The N2’s facial detection has no problem recognizing a human visage even if it's not attached to a flesh-and-blood body. About a third of the faces my camera initially detected were close-ups of people on my TV screen. 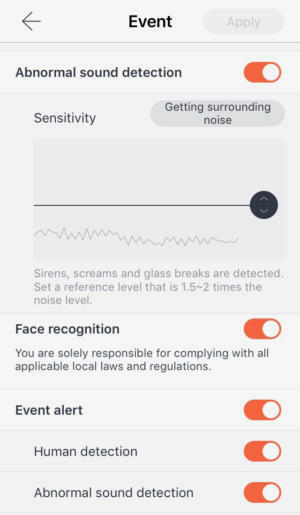 Abnormal sound detection samble the ambient noise in your home to distinguish lounder noises like breaking glass and screams. You can save video clips locally to a microSD card (up to 128GB). Alternately, you can pay for a Smart Cloud subscription, which will give you unlimited event recording triggered upon human detection or face recognition, advanced event search that lets you sort events by faces, and the ability to download videos to your phone. The three subscription plans store your videos for 30, 60, or 180 days for $50, $80, $200 per year respectively. 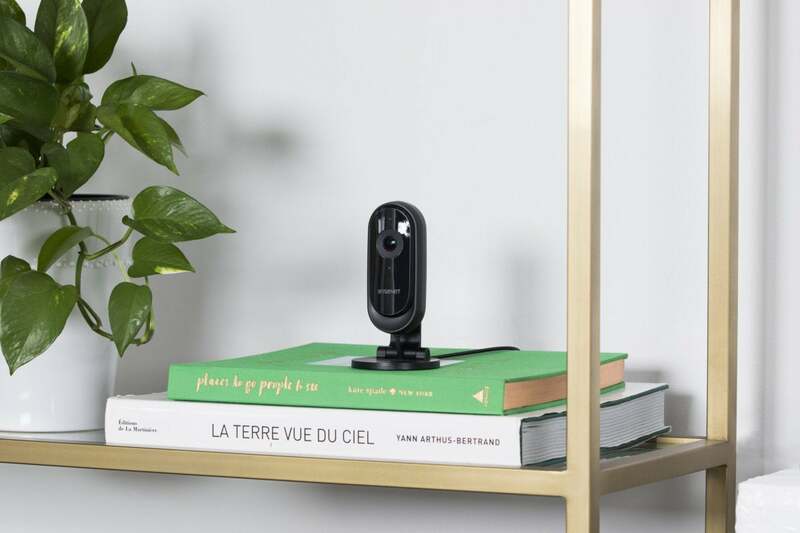 The Wisenet N2 impresses all the way around. While certainly anyone looking for standalone smart cam can benefit from its sophisticated detection features, the camera seems particularly well suited to users who want to remotely monitor the comings and goings of certain family members, such as school-age children and elderly parents. Regardless of how you use it, though, you’ll undoubtedly have more peace of mind with the N2 on duty.